Bulgaria was a lot of fun. We went to a traditional Bulgarian restaurant and ate all kinds of different foods, including lamb guts! They braid the intestines and then cook them in this really good sauce. It wasn’t gross, but I wouldn’t order it again. 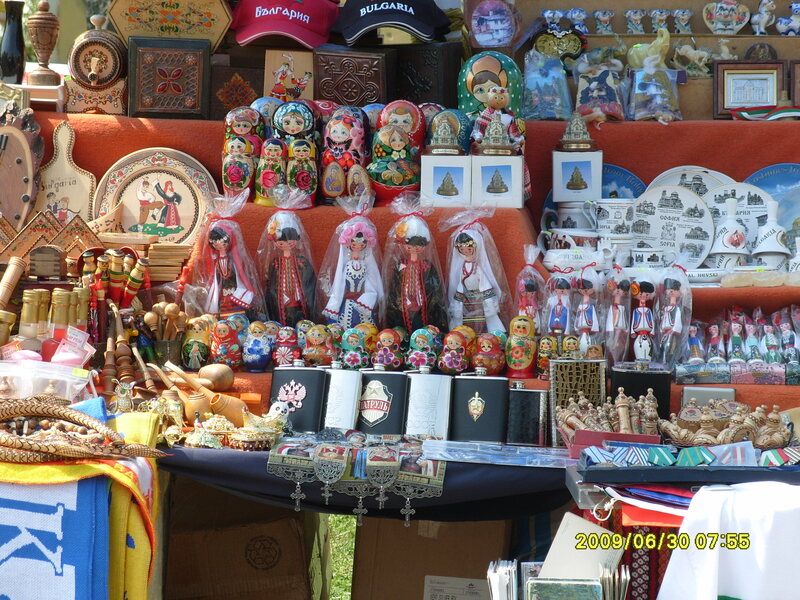 The next day, I went to a small flea market near the St. Sofia Cathedral. I got an LP of Louis Armstrong, but the words are all in Bulgarian. Im going to frame it. It cost the equivalent of about $7! I was really excited for Istanbul. The flight was nice. It was only an hour long and we got served a full meal, including cherry juice, which is apparently big over here. When we arrived, we made a point to go straight out and see some sights. We went to an area that had a couple of huge Mosques and the world’s largest market. The Mosques were beautiful. I wanted to go in and see the ceremony, but I think I was the only one. There was a time limit and we wanted to get to the market too. I was going to have to cover my legs and arms to go in. I probably shouldn’t have worn shorts and a tank top. I don’t think the men are used to seeing that much leg and arm! The market is crazy. There are about 4,000 vendors. Everyone is SO aggressive. They are all men too. I got some cool things. Jessy bought a Turkish rug and we all made friends with the owner of the rug shop. He spoke English very well. We ended up going out to dinner with him and his two friends who had just arrived from DC. I had some amazing lamb ribs. They were so tender. If you can’t tell, lamb is pretty common over here. Memet, our friend, ended up paying for the meal, which was very nice. After a full day of shopping and eating great food, I was beat. We were on our way back to the hotel at 10:30 pm when Janice got a text saying Michael B wanted the girls to all come out and meet him at the club. I was so tired, but found the energy to go back out. Our taxi driver took us on a wild goose chase and we were late to meet MB at his hotel. We walked to the club. If we weren’t late, we could have ridden the yacht with everyone from the hotel to the club. We got there and danced all night in the little VIP section he had going on. They were close quarters. When we first got there, I didn’t see the table behind me and bumped a drink off, right onto MB’s leg. This was only the second time we had all hung out with him. (We don’t see him very much- he is a VIP!) Anyway, I was thinking to myself, “Great. Of course this would happen.” I wasn’t surprised that it did though. I’ve become used to that sort of thing. He was very nice about it and told me to just have a good time and enjoy myself. Their entourage ended up leaving around 3:00. The three girls didn’t feel like leaving and stayed and danced another hour. MB sent someone back to “babysit” us and make sure we got home ok. I should mention this club. Its right on the water, outdoors, and a HUGE bridge covered in blue lights is right beside it. The bridge connects Europe and Asia. The venue is right next door. Im typing this as Im listening to the Turkish opening act soundcheck. Im right on the water and looking across the harbor to Asia. It’s SO close! Well, I think the supper is here. I should get going. I’ll upload more pics later. 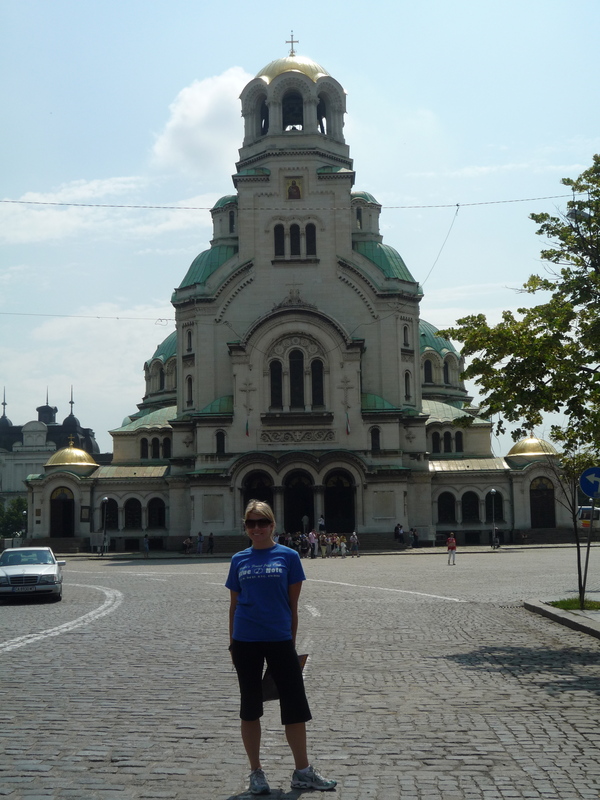 The three that I’ve attached are: The Bulgarian market, St. Sofia Cathedral in Bulgaria, and the “sugarhorns” dancing in Bucharest. This is the first time uploading pics here, so let me know if it doesn’t work! This entry was posted on July 2, 2009 at 3:47 pm and is filed under Uncategorized. You can follow any responses to this entry through the RSS 2.0 feed. You can leave a response, or trackback from your own site.